Matthew Jones is a RIBA qualified architect and a director of Bowman Riley responsible for the Leeds and London offices. Launching his career in Montego Bay, Jamaica, Matthew worked for an ex-patriot English firm of architects for three years. The projects he delivered ranged from bespoke luxury holiday homes at the exclusive Tryal Resort to a school extension and refurbishment programme across the island. Returning to the UK in 1997, Matthew began working for Bowman Riley. In 2003, he established the Leeds office and was promoted to director that same year. In 2012 he also became the director of the new London office servicing our clients in the capital and the South of England. Matthew is a keen golfer, former rugby player and enjoys live music. John Coultas is a director of Bowman Riley. He qualified as an architect in 1991 and spent the next four years working for a Yorkshire based design led practice. Over 20 years ago John moved to Bowman Riley to lead the commercial/housing team. Over this period he has looked at hundreds of sites to assess their development potential, and with the team we have achieved planning consent for thousands of homes on challenging sites throughout Yorkshire. A good proportion of these properties have been constructed under his stewardship. 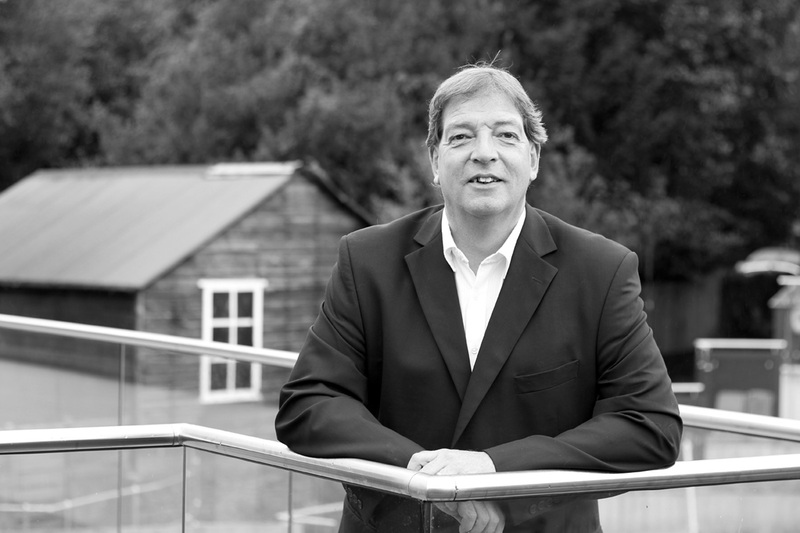 By reputation, John has built up a client base comprising some of Yorkshire’s highest regarded business people. His projects include: one of the country’s largest ice cream factories, Caw Ingredients the UK’s most technologically advanced soft drinks factory, the state-of-the-art Haddocks Farm, the new office head office for software company TPP and the Grade I listed refurbishment of the Judge’s Lodging in York. Away from work, John enjoys riding his Italian motorbike across the North Yorkshire Moors and Lake District. Michael Feather became a director of Bowman Riley in 2014. Initially starting his career in architecture at Bowman Riley, Michael re-joined the practice in 2009 after several years working in London. Michael has almost 20 years’ experience of successfully leading design teams to deliver complex projects and large-scale programmes of work. He specialises in the design and project management of retail, commercial and laboratory developments and champions modular construction. Out of the Office, Michael enjoys playing and coaching rugby, cycling and outdoor activities. 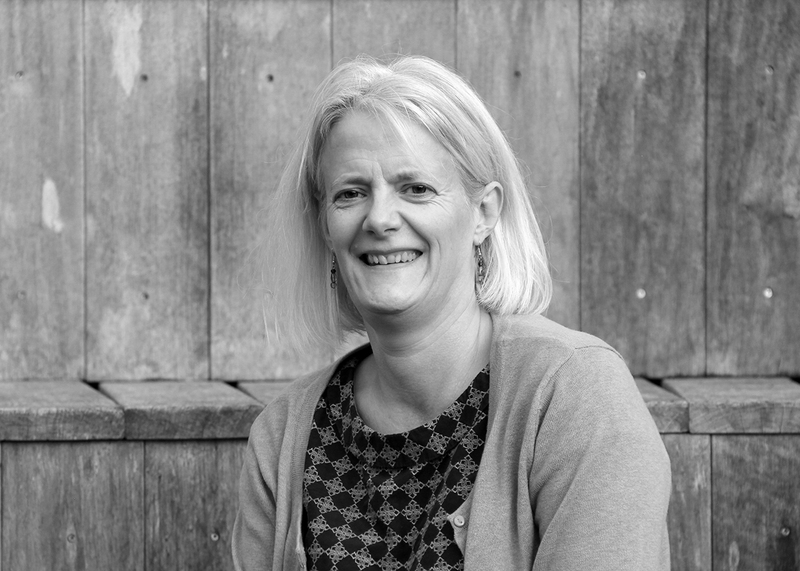 Caroline joined our team in 2017, she is responsible for developing business and managing and mentoring the building consultancy team and for ensuring the successful delivery of projects. To help building owners and occupiers get the best value from their assets, Caroline’s team provide the full range of building consultancy services throughout the lifecycle of a property or estate. Previously at Lambert Smith Hampton, Caroline brings a wealth of experience of working with high profile clients such as: BT, Northern Rail, NHS, Nationwide, Harrogate International Centre, Royal London, Countrywide, Carphone Warehouse, Nuffield Health and Thornton’s. In her spare time, Caroline enjoys watching films, cooking and yoga. Darren Bush is a director of Bowman Riley. He joined the practice in 1991 shortly before qualifying as an architect. Darren has considerable experience in the retail and petroleum sector working on projects for Wm Morrison Supermarkets, The Co-operative Group and Asda. Under Darren’s leadership, the retail team firmly established a proven track record in meeting the particular requirements of clients in this competitive sector. His team specialises in effective communications and team working, project management, risk management, health and safety, co-ordination of complex phasing, design for lean construction and cost control. Darren prioritises high-quality design and delivery of project information focusing on sustainable, low maintenance design suitable for fast and safe delivery. He is responsible for the practice’s finance and IT management. Darren enjoys skiing, tennis and travel. Promoted in 2019, Tony is the Director responsible for managing the London office and developing business in the capital and the South. Tony joined Bowman Riley in 2007 and moved South in 2012 to manage the new central London office. Tony played a pivotal role in the establishment of Bowman Riley’s new London office set up to support the company’s national clients with assets in the capital and the South of England and to develop new business. At the end of that year, he was promoted to Associate in recognition of his success. Tony is experienced in managing a design team through detail design, construction drawing information and communicating with the client and wider design team consultants. Tony works hard to develop strong working relationships to the benefit of project delivery. With first-rate technical skills, Tony is fully proficient in the BIM process and the software Revit. Tony is currently involved in residential, commercial, hotel and leisure, and retail sectors. He is a keen footballer and plays in a weekly 5 a side team and enjoys snowboarding holidays. 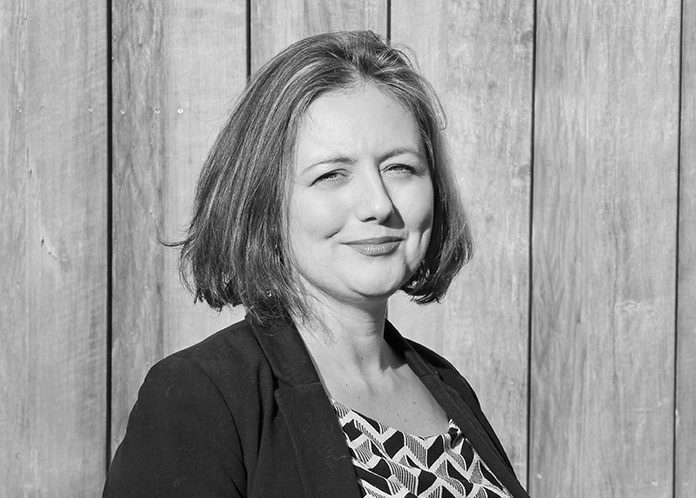 Samantha Jevons joined the practice in 2011 with 10 years’ experience of marketing in the property industry. Working alongside the directors, she provides marketing, communications and business development expertise. Samantha is responsible for managing all marketing and business development planning and strategy, communications, bid management, client relationship management and event management. 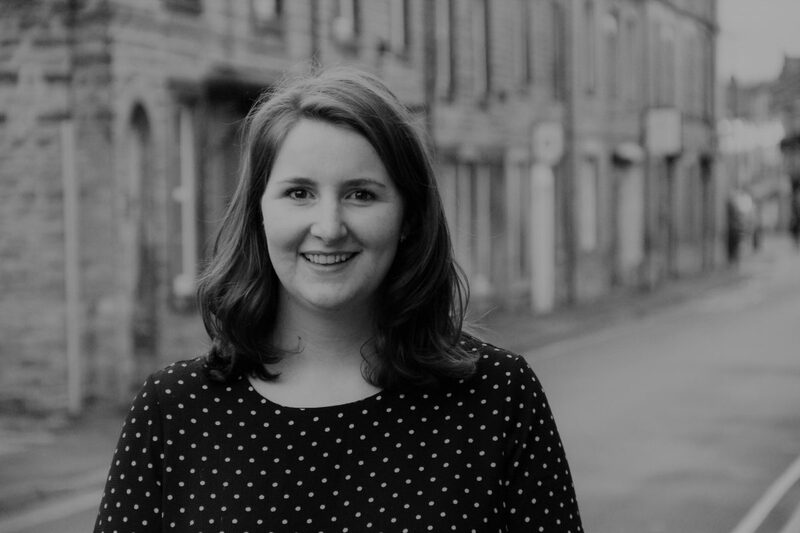 In 2019 Samantha joined the Forum of the Built Environment Leeds Branch committee as the Events Coordinator. She adores spending time with her little boy, going on foreign holidays, hosting parties, reading great stories, buying dresses, cycling, camping and is an advanced scuba diver. With over 15 years’ experience, Tom Shelley is a qualified interior designer and member of the British Institute of Interior Design. Tom combines a flair for design with a personable manner and the technical expertise to be able to deliver an interior design scheme from concept to completion. Qualifying as an Interior Designer in 2002 from Manchester Metropolitan University, Tom started working as an interior design professional in Manchester on a multitude of commercial and Industrial projects nationwide. 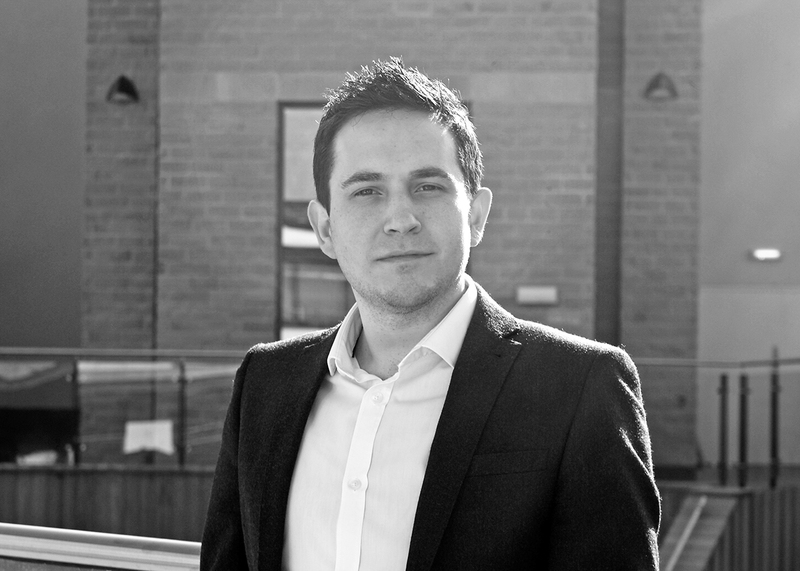 In 2006, Tom moved to Bowman Riley joining the Leeds team and working on the interior design of prestigious Toronto Square development where the office is now based. In 2014, Tom achieved a first class degree in Architectural Technology from Leeds Beckett University. This technical qualification gives Tom an edge over other designers in his field. The British Institute of Interior Design granted Tom full membership in 2017. Tom loves cycling and renovating his self-designed home. Promoted to Associate Director in 2019, Colin Briggs has been recognised for his ability to successfully deliver a range of projects whilst developing positive relationships with clients and securing new work for the practice. With over ten years’ experience as an architect, he has considerable flair and excels in client engagement. Colin qualified as an architect in 2009 and since then has led a range of projects in the commercial, residential, heritage, industrial and government sectors. He has also spent a year in Australia working predominantly on new residential apartments and car showrooms. His experience ranges from commercial developments to private residential schemes and historic buildings. Colin won the Best Building Design Award for Yorkshire Dales National Park Authority. Actively involved in Leeds Chamber of Commerce, Colin plays an important role in their Property Forum’s Quality Spaces and Places group influencing and improving the public realm in Leeds. Colin is fluent in French and Grade 8 pianist. Promoted to Associate Director in 2019, Craig Mewse is a qualified architect recognised for producing high quality exciting contemporary designs. He is responsible for leading a variety of projects from inception to completion in particularly challenging environments. His most recent role is as project architect for the extension to Skipton Building Society’s headquarters building to provide additional office and meeting room space while providing a contemporary multi-purpose atrium in the heart of the building within the Skipton’s Conservation Area. With proficient use of the latest technology, Craig presents ideas in a compelling and easy to understand 3D environment while delivering projects as part of a collaborative team through the use of Revit and Building Information Modelling. Craig drives forward the use of new technologies to enhance the delivery of our services including BIM, 3D visualisation and augmented reality. Craig’s experience is further strengthened through extensive travel around Asia, Australasia and South America. 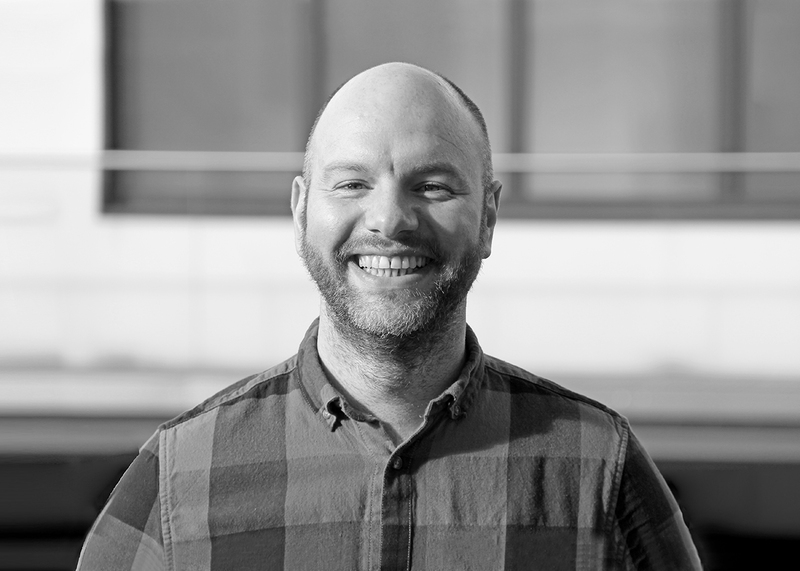 Promoted to Associate Director in 2019, Dan Heward is a qualified architectural technologist with 20 years’ experience. He provides design solutions that concentrate on the technology of building design and construction. Dan undertakes the role of project leader working with our clients and the rest of the design team to manage the construction process from conception through to completion. He has led the technical delivery of a wide range of retail developments for The Co-operative Group and Wm Morrison Supermarkets. He has specific expertise in large scale roll-out programmes to remodel and refurbish existing retail stores and in adapting and converting other buildings into retail premises. Dan always strives to deliver projects to the highest technical standards. He has particular expertise in the conversion and extension of redundant properties transforming them into viable commercial spaces and in the delivery of fast track projects with extremely quick build programmes. Dan and his team pioneer cutting-edge construction techniques to improve the speed of project delivery and provide best value solutions to meet client needs in the highly competitive retail sector. April has a wealth of experience gained across a variety of sectors predominantly within the specialist housing sector with several of her designs going on to win industry recognised awards. Her ‘people-first’ ethos focuses her mind towards the care and residential sectors, ensuring sound design strategies are provided in accordance with the changing needs of our population whilst responding to the client’s brief. April’s approach to the design brief starts from a thorough and detailed contextual appraisal, ensuring smart design solutions that exceed client expectation; built on current thinking, innovative construction techniques and the implementation of technology critical to successful building management. Interested in the application of modular construction, especially off-site and pre-fabrication, April is keen to ensure full integration with existing structures without compromising architectural design and quality. In her spare time, April enjoys spending time with her two daughters, skiing and generally enjoying the Yorkshire Dales. Alex joined Bowman Riley in 2017 and supervises the day-to-day running of the core building consultancy services in the Leeds office. 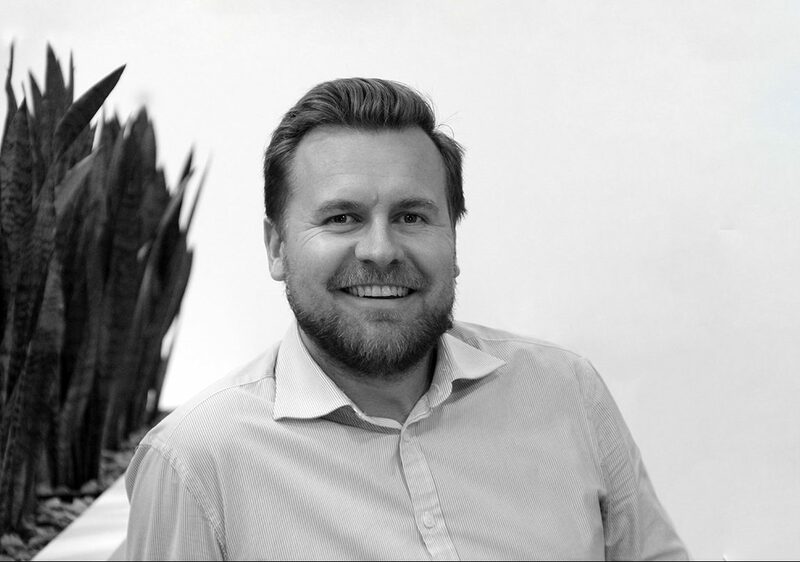 Bringing a wealth of experience to the team, Alex excels in building strong client relationships. Alex has over nine years’ experience working in the property industry for various property consultants providing a broad range of services to clients providing building surveying and project management duties. A keen runner, Alex has completed several marathons including New York and London. He also enjoys playing squash, golf and has represented the Yorkshire Property Rugby team for the past few years. He is also a season ticket holder at the mighty Bradford City Football Club! Paul Norton joined Bowman Riley’s team as an Associate Building Surveyor in 2018 with over eight years of commercial surveying experience. Based in the Leeds office, Paul is a Chartered Building Surveyor specialising in undertaking pre-acquisition surveys, dilapidations surveys and planned maintenance programmes on all types of commercial property. He also has a wealth of experience in the project management and contract administration of complex office and retail refurbishment schemes with values ranging from £100k to £1.5m. Sports-mad, Paul is a former rugby union player and dedicated Leeds United fan. Paul is also passionate about performance cars and has a keen interest in literature. His father is a secondhand book collector/dealer, which is where his interest in literature has most definitely spawned from! Rebecca Jones has a passion for all things creative and provides invaluable graphic design and marketing support to Bowman Riley. She is the practice’s brand guardian and is responsible for the design and production of high quality marketing collateral and additional marketing communications, such as flyers and brochures. Working alongside the practices marketing manager Rebecca assists with business development planning and strategy, communications, bid management, client relationships and event planning. 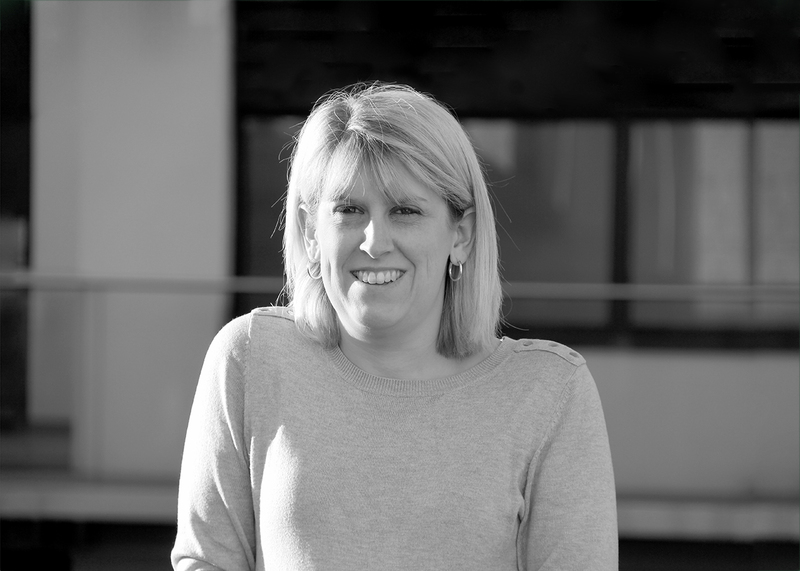 Outside of the office, Rebecca doesn’t stop and generally can be found playing badminton, cycling or walking. When not in the country she will be in the French Alpes on the slopes. Steve McDonald joined Bowman Riley in 1994 and was promoted to Associate in 1999. 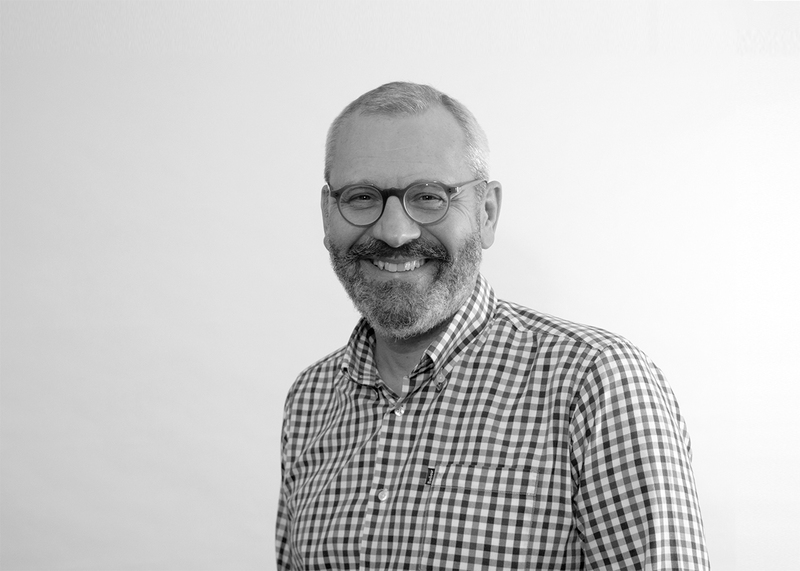 As a qualified architect , Steve provides support to the director in charge of the retail sector within the office heading up design teams for various developments. Steve has an impressive track record in the successful delivery of retail developments from inception through to completion. 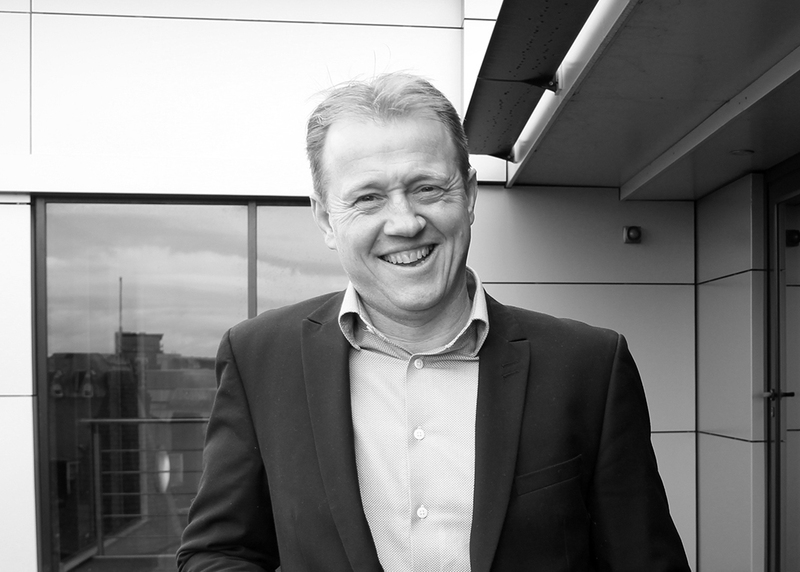 For the past decade, Steve has specialised in retail and commercial developments pioneering fast track delivery, sustainable construction and zero carbon technologies. Steve has more recently been responsible for the delivery of a number of large extension projects, requiring complex phasing solutions, and shell fit outs. Areas of work primarily with Wm Morrison Supermarkets plc and include various store refurbishments, store extensions, new build stores and petrol filling stations both new and existing. 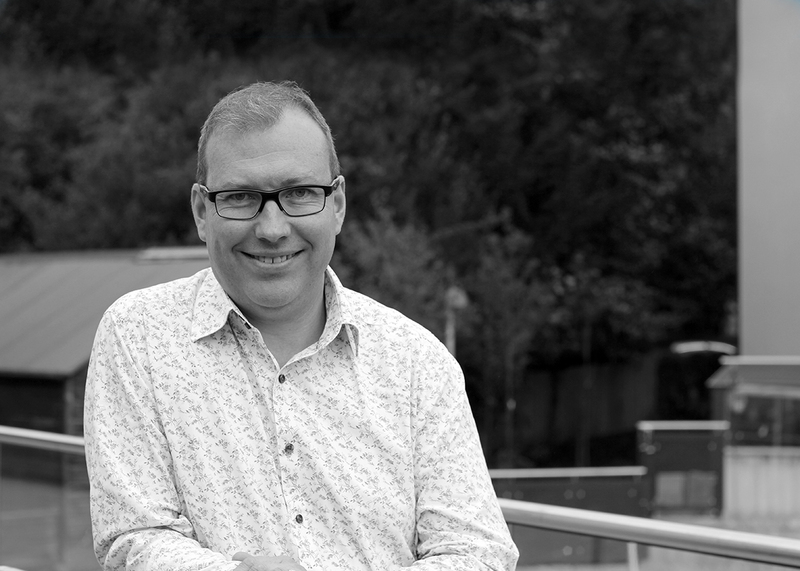 Outside of work, Steve enjoys playing the drums, ten pin bowling and family walks. 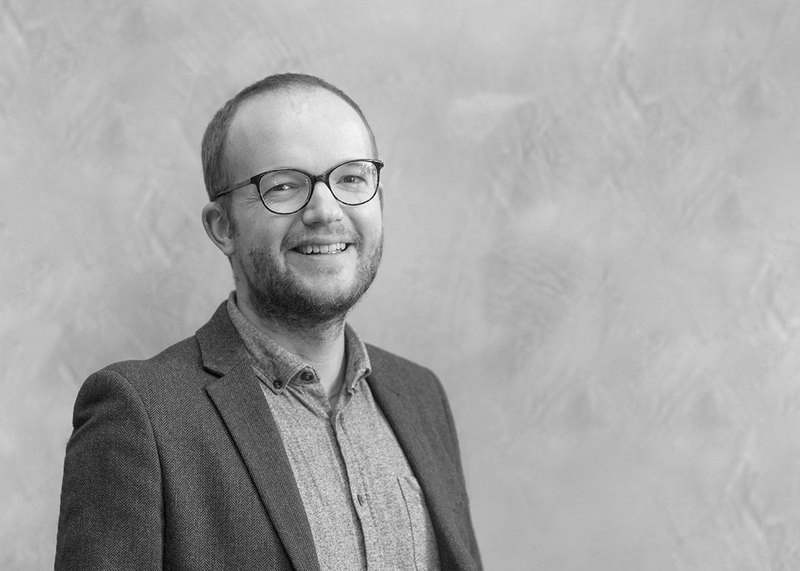 Promoted to Associate in 2019, Roy Wilson is an Architect based in our London office leading a number of commercial mixed-use and residential projects in the capital and the South of England. 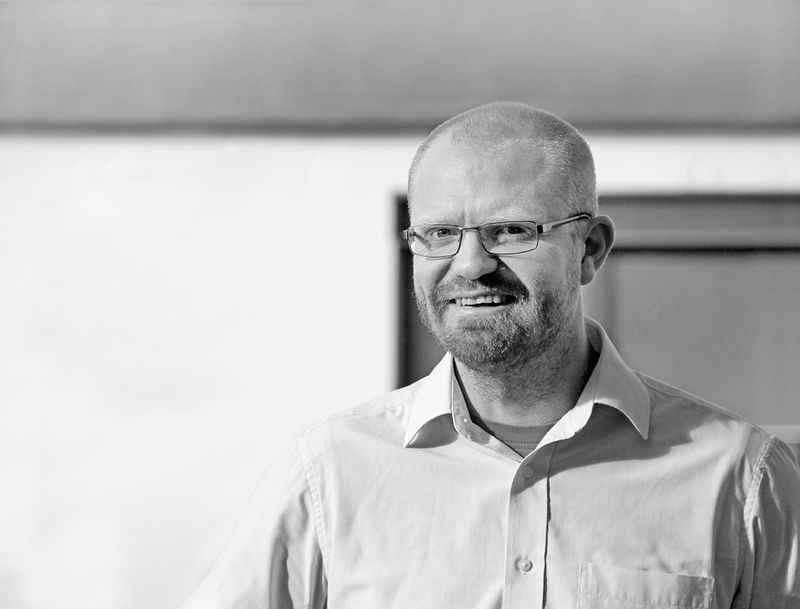 Qualifying as an Architect in 2009, Roy has worked as part of the Bowman Riley team for over 10 years making a significant contribution to the practice with a high-level of attention of detail and proficiency in the use of BIM as a collaborative tool. Roy has a track record of delivering schemes that have been driven by the need to achieve cost savings and fast-track programmes whilst still maintaining a high level of quality on both traditional and design and build developments. Roy designed the Albion Place retail development on Skipton High Stree, which won ‘Development of the Year 2014’ at the Yorkshire Business Insider Property Awards. Outside of the office, Roy enjoys playing and watching football. David Hodgson has worked at Bowman Riley for 30 years and has been involved in various market sectors including hotel, leisure, residential, retail, industrial and educational. In 2004 David was promoted to Associate and now deliver projects from inception to completion with the assistance of architectural and technical support. Over the last 15 years, David has worked as a Project Leader on a variety of projects in the residential, retail, commercial, education and hotels and leisure sectors including the renovation of three listed hotels including The Judges Lodging, Swinton Park and The Beverley Arms. In recent years David has specialised in leading the delivery of private residential schemes. His responsibilities include detailed negotiations to secure planning approval (and discharge conditions), production information, liaising with contractor and specialists throughout the course of the building works. He is a keen follower of Liverpool Football Club and enjoys watching live music. Stephen Haestier joined Bowman Riley in 2001 and has gained varied experience from working on a range of construction projects ranging from the refurbishment of listed buildings to industrial schemes and housing developments. He was promoted to Associate in 2008 and since then he has continued to progress his career with an expanding portfolio of retail and industrial projects, expanding into the areas of master planning and urban design. Stephen was part of the team that secured the first BREEAM Excellent 2006 accredited supermarket in the UK. Stephen also coordinates our BIM implementation strategy ensuring that the practice remains at the forefront of this field. In 2014, Stephen took on the responsibility for driving forwards Bowman Riley’s adoption of BIM and coordinates our response across the practice. Outside work, Stephen is a member of Ilkley and District Round Table and as former Chair enjoys taking time out to raise money for local charities when he is not chasing after his young family. Since joining the practice in 2005, Colin Ruddock has specialised in projects for petroleum clients with a wide and varied scope throughout the UK. In that last decade he has delivered hundreds of petrol filling station projects for some of the UK’s largest petrol and retail clients including Esso, Artelia, Wm Morrisons Supermarkets and Asda. Colin has delivered a huge range of projects including refurbishment, infrastructure replacement, new builds, HGV, AdBlue and environmentally sensitive projects, phased construction, Motorway Service Area, joint client, live forecourts as well as traditional single phase projects. These projects have given Colin the experience necessary to provide clients with the flexibility necessary for the esoteric nature of petroleum retail. Colin holds current UKPIA and ExxonMobil Safety Passports and has experience working with large petroleum specialist contractors such as Williams Southern, Fibrelite, Gilbarco Veeder-Root, Tokheim, Fox Construction, Premier and Dakin. Out of the office, Colin enjoys motorcycling, clay pigeon shooting and is currently attempting to rediscover his love of badminton. Laurence Teeney is an award winning architect specialising in the design of education buildings with over 20 years experience working with schools, colleges and universities. He has a first class record in delivering complex projects within a live learning environment. Leading our team of specialist education designers, Laurence imparts his passion for design and quality. He is a collaborative design team leader developing, testing and listening to the briefing requirements of teachers, user groups, the project manager and other stakeholders to deliver the best possible outcome for the client. Award-winning buildings include: Albion Place retail development, Culture Fusion youth centre, Kirkstall Brewery student residences and the Civic Quarter Library and Gateway Building for Leeds Metropolitan University, which features in the Pevsner Architectural Guide to Leeds. Given the opportunity, Laurence would like to spend more time traveling and looking at maps. Biba Barrett qualified as an architect in 2013 from the University of Westminster after completing her studies at Newcastle University and Oxford Brookes University. Having spent her placement years working in London, Biba returned to Yorkshire and joined Bowman Riley’s Leeds office in September 2013 working predominantly in the healthcare sector, key clients included Bradford Hospitals NHS FT and McCarthy & Stone. She left the team in 2016 only to return again in 2018 with a wealth of experience of delivering projects in the private residential sector. Based at our Head Office in Skipton Biba works within our residential and leisure team. She has an enthusiastic and collaborative approach and excels at client engagement. Out of the office, Biba loves to travel and spend time in the Yorkshire Dales and Scotland with her husband and black Labrador, Bella. Will Smithies is a graduate building surveyor with two years’ professional experience in the property and construction industry. He has undertaken a variety of buildings surveys and has project managed modest refurbishment and new build projects. Will’s technical skills include: condition surveys, building pathology and defects rectification, dilapidations surveys and contract negotiations, development of schedules and scopes of works, tendering and procurement processes, project management and contract administration, cost estimating, control and reporting techniques. Driven and ambitious, Will is currently working towards achieving the RICS chartered status in 2018. Aside from work, he is a keen fitness and rugby enthusiast having represented his school and local rugby club for 10 years prior to university. He also enjoys listening to a eclectic mix of music, travel to South Africa and Europe and socialising. Ruth Bush has over 20 years’ experience designing community, education, commercial and historic buildings. 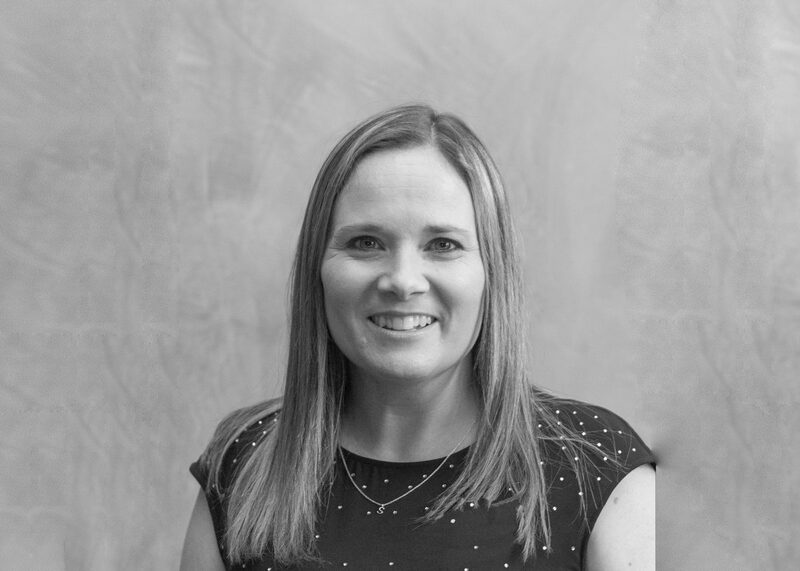 She enjoys working closely with clients to fulfil every aspect of their brief and excels in user group, stakeholder and community consultation throughout the design process. Ruth was the project architect on two award-winning projects; the Henshaws Arts & Crafts Centre in Knaresborough and Bright Beginnings Childcare Centre for University of Leeds. As a BREEAM Accredited Professional, she is committed embracing sustainable principles whilst producing designs which are efficient, workable and surpass expectations. Out of work, Ruth enjoys creating stained glass, painting watercolours and tennis. 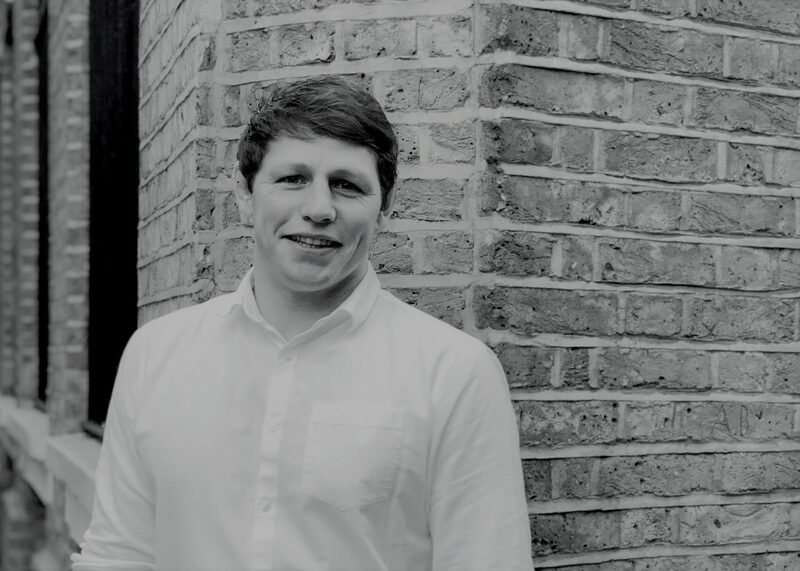 With 10 years’ experience in the property industry, Mark Whitley has been involved in a wide range of projects with ample on-site experience and numerous roles applying his knowledge to quality monitoring of construction works undertaken by notable contractors and clients. In the capacity of designer and contract administrator, Mark has delivered projects using his communication and stakeholder management skills for a number of regional and national clients. Mark completed the NEBOSH General and Construction course in 2016 to enable him to advise clients on matters of health and safety and undertake the role of principal designer. In his spare time, Mark is a member of his local running club and takes part events including cross country, relays and marathons. He also enjoys open water swimming, mountain biking and hill walking. He is also a long-suffering Bradford City Football Club season ticket holder. James Barnes qualified as an architect in January 2018 following nine years of studying. 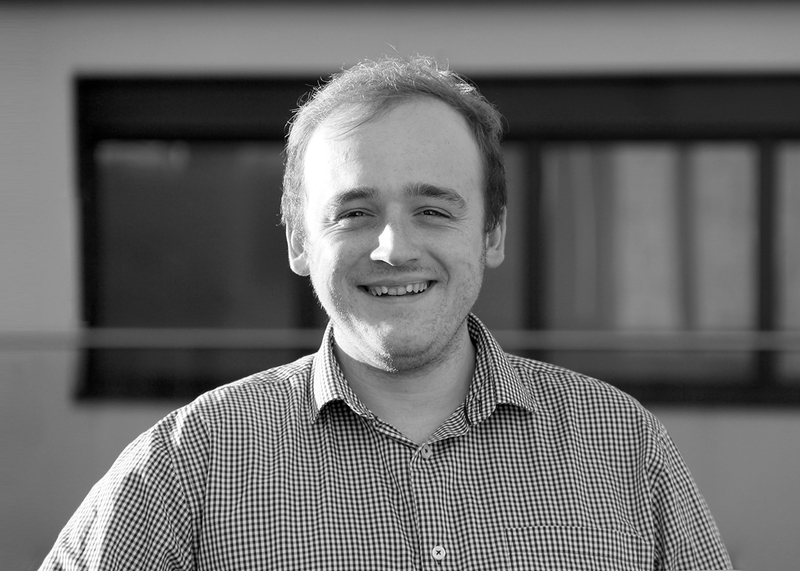 An integral part of the petroleum team, James produces designs and liaises with clients and contractors, to support a project’s completion on site. In his spare time, James is an acoustic guitarist, vocalist and enjoys playing football and squash. Marisa Rigby joined Bowman Riley Building Consultancy team in 2017 as a Health & Safety Advisor and Principal Designer. Marisa has experience of working on various different construction projects in the retail, education, petrol filling stations, residential, commercial and industrial sectors. She has experience in delivering health and safety advice to all parties involved in a project and has proven to be a reliable safe pair of hands. Marisa aims to further her knowledge by undertaking an Occupational Safety, Health & Environmental Management Degree and, upon successful completion, will have the opportunity to enroll onto a master’s degree. Outside of work, Marisa likes to keep an active lifestyle by going to the gym, hiking and particular likes outdoors actives such as Go-Ape and camping. She is a West Brom football supporter and likes the occasional shopping spree. Richard Berry passed his final exams to become a fully qualified architect in October 2017. He has developed a very particular toolset, gaining knowledge in computational and parametric design, BIM and augmented reality. Richard works on predominantly education projects and has supported the successful delivery of a new arts centre for Outwood Grange Academy and a new science building for Harrogate Grammar School. He enjoys visiting new places, flying drones and is always looking for that next adventure! Anita Rebaudo joined Bowman Riley Architects in Leeds as a Part 1 Architectural Assistant following her undergraduate degree at Leeds Metropolitan University. During her Post Graduate Diploma, she continued to work part time with the company and resumed a full time position following the completion of her degree in order to gain the professional experience needed to become a Chartered Architect. 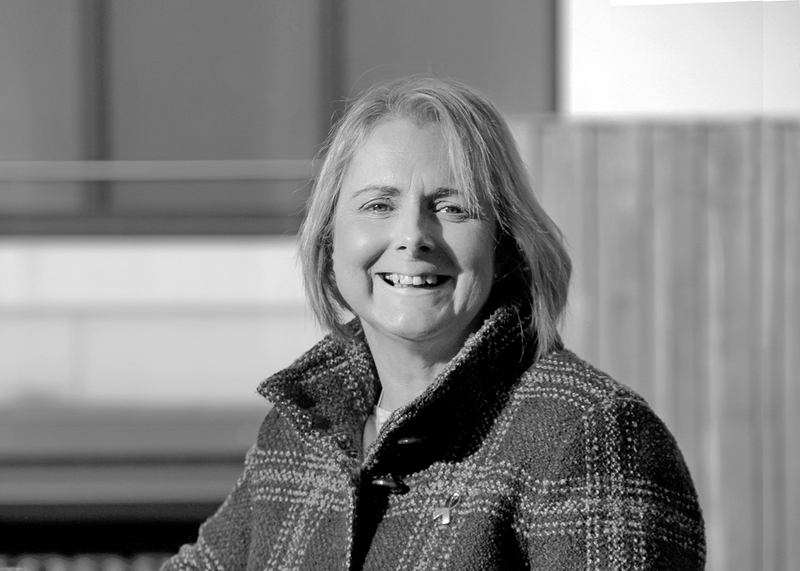 During Anita’s ten years at Bowman Riley, she has worked as part of the design team on a variety of new build and refurbishment schemes in the commercial, retail, leisure, residential and industrial sectors. Anita has a keen eye for detail and tackles each project with precision and professionalism. Anita is proficient in the BIM software Revit. She has an excellent track record in the successful delivery of a range of commercial and retail developments. Reliable and trustworthy, every project is delivered with outstanding results. Outside of work, Anita is a fully qualified fitness studio instructor, who teaches a range of classes. Daniel Green is a versatile, motivated and articulate Building Surveyor, who has gained a wealth of experience and knowledge within the construction and property industry. 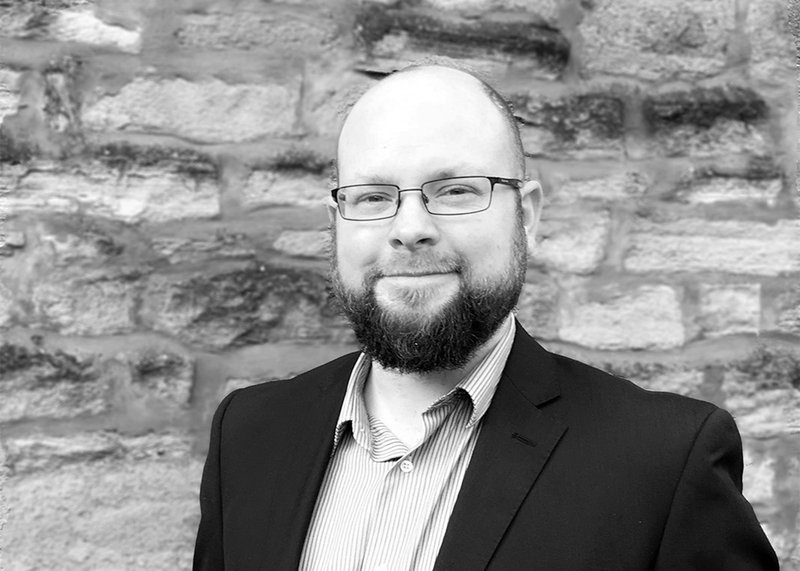 With extensive experience and knowledge of the full spectrum of Building Surveying services and Project Management, Daniel has the ability to adapt, problem solve, introduce new ideas and deliver results. A genuine personal passion for Building Surveying inspires Daniel’s continual learning and ensures the successful delivery of the services he provides. Daniel enjoys travelling and photography and has competed in strength sports. Laura Baarda graduated from Northumbria University with a first class degree in Interior Design. Joining Bowman Riley in 2018 after working for a high-end residential interior design company in Shrewsbury for over three years, Laura is pleased to be back in her Yorkshire homeland. Her appointment strengthens the interiors team at Bowman Riley, which was launched in January 2017. Laura’s latest obsession is sailing. She is a newly trained day skipper and can’t wait to embark on more nautical adventures. Laura values family, her dog and laughter. Nikoleta (Nicole) graduated as an Architect from the Aristotle University of Thessaloniki, Greece in 2012 and then started her career working for award-winning practices in Greece designing upscale hotels and luxury bespoke homes. Working freelance she provided her services as an architect and EPC assessor together with her civil engineer and real estate agent brother. She won an award in Interior Design for designing a concept luxury and energy saving hotel. Nicole moved to the UK in May 2016 and worked across all stages of a project from feasibility and planning to construction and delivery. As a project architect, the main areas she has expertise in are the residential, office to resi conversions and retail. In her free time, she likes hiking, photography, singing, cinema and meeting friends. Andy Tate has considerable experience in the use of BIM using Revit Architecture to produce architectural models on a wide variety of projects with contract values ranging from £5 million to £60 million. He works with the wider design team to share BIM information for the overall benefit of the project delivery. Andy has developed in-house best practice protocols for the use of Revit and produced standard templates. He is actively involved with the Bowman Riley BIM steering group, set up to facilitate the use of BIM in line with industry standards and clients’ expectations. In his spare time, Andrew enjoys mountain biking and walking. 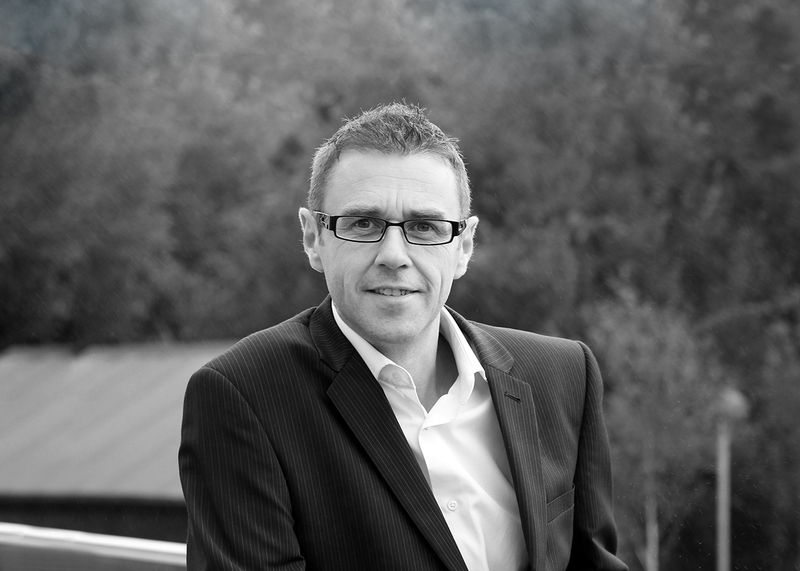 With over 10 years’ experience, Mark Holden is a qualified architectural technician. Mark joined Bowman Riley in 2003 from school initially working as a trainee, whilst studying part time to gain a HND from Leeds Metropolitan University. He is a project leader who has been involved in a variety of projects in different sectors including retail, commercial, industrial, social housing and private developments. Mark sees projects from concept through to delivery and successful completion. In his spare time Mark enjoys playing and watching rugby league and spending time with his family. 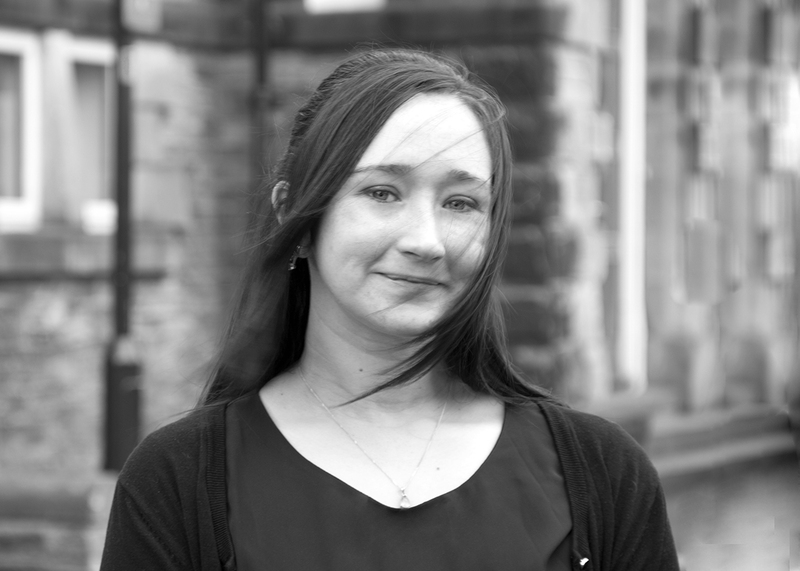 Kara Thorpe is a qualified chartered certified accountant with 14 years’ experience. She enjoys spending days out with her two little boys, dining out and holidays. 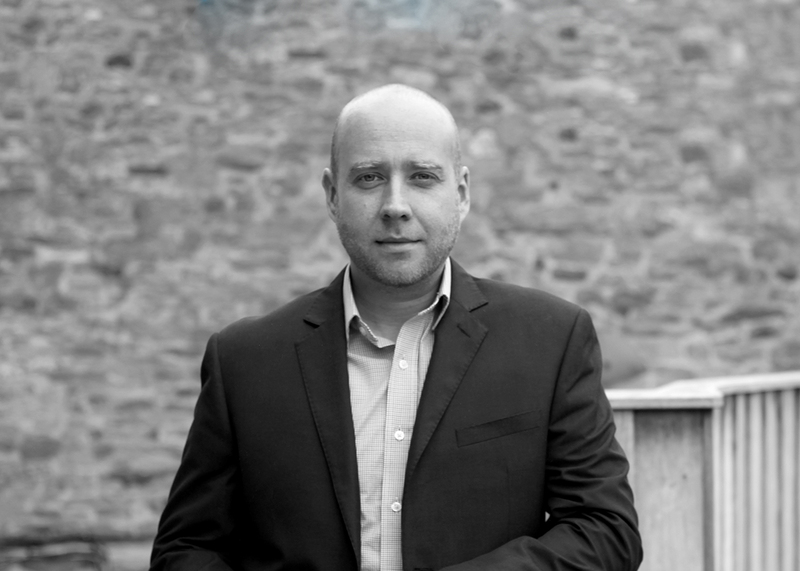 Darren Hill is a Senior Architectural Technologist with over 14 years’ experience in providing first class technical support on a range of construction projects. 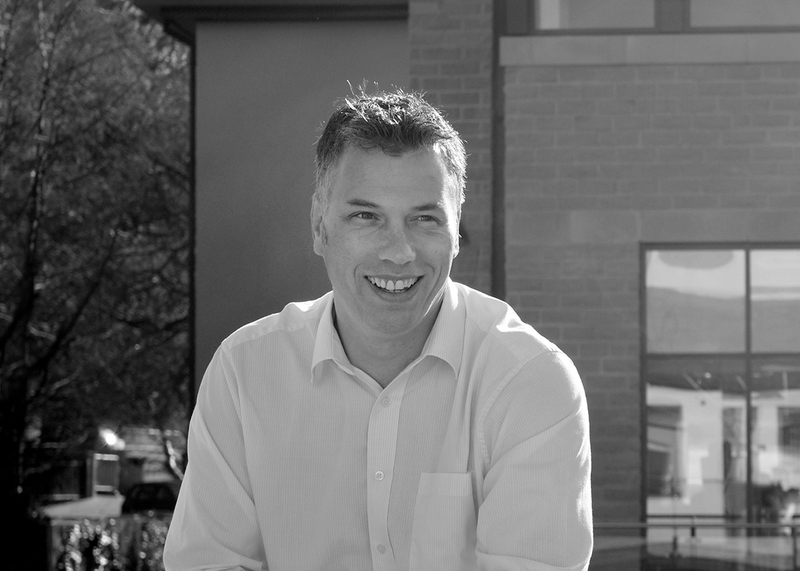 A technical expert, Darren focuses on delivering projects to the highest possible standard. He produces high quality graphics that assist our clients and the wider project stakeholders in visualising the development during the design stages. Proficient in the BIM software Revit Architecture, Darren designed the ByHaus apartments, Wm Morrison supermarkets, The Bailey and the Airmesh head office projects using the software to the benefit of the overall project efficiency. Out of work, Darren enjoys snowboarding and renovating houses. With over 10 years’ experience as a Chartered Architectural Technician, Antony Sutcliffe has worked on a diverse range of projects. These projects include masterplanning for housing developments, high rise mixed-use buildings, refurbishments of listed buildings and a coastal hotel/ spa retreat in Whitby, North Yorkshire. Passionate in both conservation and sustainability, this has led him to work on many dilapidated buildings. This has required the recording of the existing fabric of the buildings, technical designs with sustainable solutions and manages the progression on site through to their completion. Antony loves to travel and has backpacked to many parts of the world including Europe and Eastern Asia. He enjoys going on long hikes around the countryside, which has seen him complete the Hadrian’s Wall Trial and climb both the Yorkshire and National Three Peaks. Julius Guevarra joined the Bowman Riley team in 2018 and is working on hospital projects in Colchester and Poole and on a major residential development in Slough. Graduating in 1993 in the Philippines, Julius started working overseas including Bahrain, Singapore and Canada. With over 20 years of industry experience and a background in architecture and engineering, Julius has completed projects internationally on a wide range of capital projects. For the past few years, Julius has specialised in healthcare design working on care home and hospital developments in Bradford and Doncaster. Outside of work, he loves travelling and playing golf with his son. 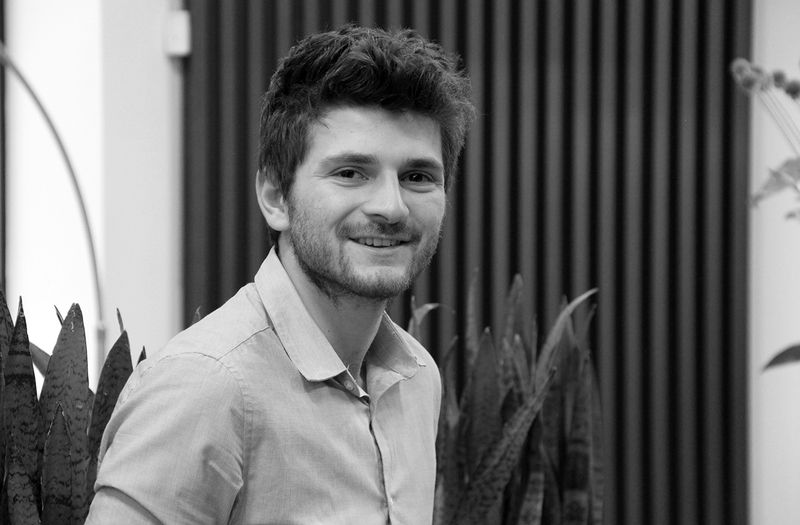 Alex Vousden is a Chartered Architectural Technologist, who joined the London team in 2018. He has experience in the residential and commercial sectors including providing technical expertise on a range of listed buildings and high-end residential schemes. Alex is proficient in BIM software and working methods. He has delivered award-winning projects in ArchiCAD and is also proficient in using NBS specification. When not working, Alex enjoys playing rugby, photography and going to gigs. Robert Baxendale is a Chartered Architectural Technologist, who has most recently provided technical expertise on a new build office scheme and a number of Grade II listed hotel refurbishment schemes. Out of work Robert enjoys spending time with his family, at the weekend he generally heads out somewhere for a walk and a picnic. Karen Allison has been providing invaluable administrative, office, finance, HR and compliance support to the Bowman Riley team for over 10 years. She works closely with the directors to ensure the smooth running of the practice. Karen is an Associate Member of the Chartered Institute of Personnel Development. In her spare time, Karen enjoys walking her dog Jasper, a good glass of wine, cooking and meeting up with friends. With a first-class degree in Architectural Technology, Lee Stansfield joined the petroleum team at Bowman Riley in 2016. He delivers petrol filling station projects from feasibility through planning to tender and completion. Lee loves to explore how science and technology intertwine to create efficient design and architecture. In his free time, Lee likes to travel and visit cities around the world with outstanding architecture and picturesque sceneries. He also enjoys taking part in fundraising events for local charities, walking and swimming. 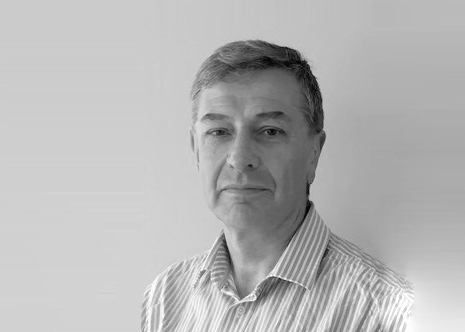 Mark Hayton has 15 years’ experience providing technical expertise on a wide range of high profile projects. 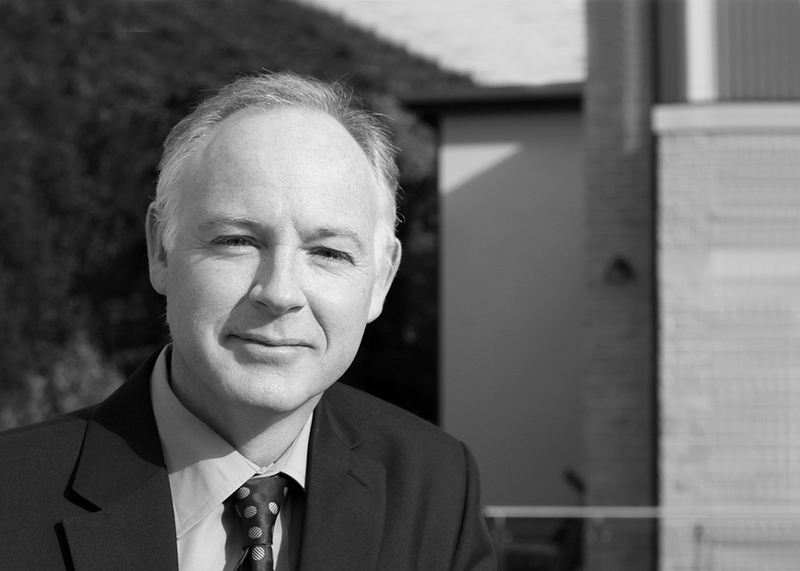 Qualifying in 1998 as an architectural technician, Mark supported the technical delivery of a range of developments for Bowman Riley Architects. After several years, he needed a new challenge and moved on to work as a technical manager for a builder contractor. During his time with a building contractor, Mark worked on a number of prestigious projects including: Southampton Football Club Training Academy, St Oswald’s Extra Care Retirement Village, Brighton University Varley Halls of Residence, Dorchester Brewery and Asda Supermarkets. After taking time out to spend time enjoying life in Grenada in Spain, Mark returned to the UK in 2013 and started working back at Bowman Riley. Outside of the office, Mark is very active as his time is spent teaching his young son how to swim, play football and going to the park. Mark is a keen cyclist and while living in Spain for 18 months he raced for a semi-professional cycle team and learnt Spanish. Sam Cotterill joined Bowman Riley’s team in 2018 with 15 years’ experience. He started his career within an established architecture and engineering practice prior to working for the last decade for a Yorkshire housing developer. 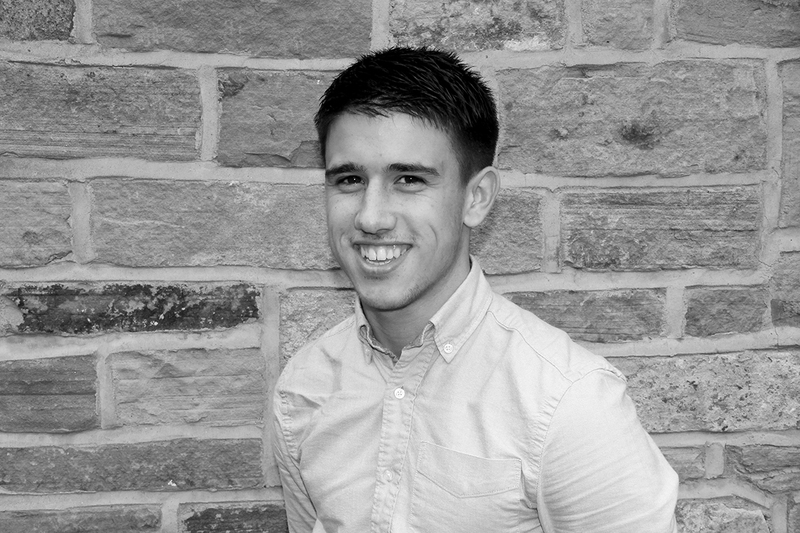 Out of the office, Sam enjoys watching many sports especially Wharfedale Rugby Union Football Club and Leeds United. He has recently started mountain walking with the aim of completing the tallest peaks around the UK. Architectural technician, Bob Kalsi joined Bowman Riley’s London team in 2018 with strong technical skills to deliver a range of projects across the capital and beyond. Bob graduated from the Kent Institute of Art and Design (Canterbury University) in 2003 as an Interior Architect. With expertise in both Revit and AutoCAD, Bob brings 15 years’ experience in the successful delivery of a range of projects and strong attention to detail. He enjoys spending time with his family and playing the guitar, as he is passionate about Classic Rock music. His other passions are tinkering with engines and carpentry. PA to Directors and Manager of the Practice’s Quality Management system Grace Wood has been a dedicated member of staff for 20 years. In her free time Grace enjoys reading, cycling and sewing, and loves cats and all things Japanese. Chris Snowden is a qualified architectural technologist who has worked at Bowman Riley for over seven years specialising in the delivery of projects in the retail sector. His dedication and quality of work were recognised in 2019 when he was promoted to Senior Architectural Technologist. In his spare time, Chris is a keen football fan and enjoys travelling the world. A graduate from Liverpool John Moore’s University with a first class degree in Architectural Technology, Ben Stone joined Bowman Riley in 2016 and has since become an associate member of The Charted Institute of Architectural Technologist. 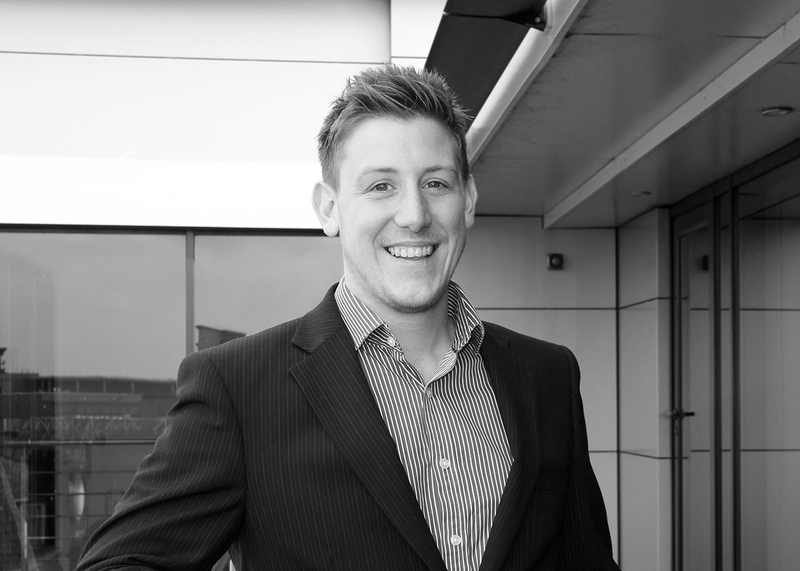 Enthusiastic and professional, Ben provides invaluable technical support to the Leeds team. He is able to apply his knowledge of current building regulations and up to date material specifications to successfully develop fully functioning architectural drawings. With a particular interest in the BIM software, Revit Architecture, Ben has become proficient in producing architectural drawings using Revit. He is also competent in AutoCAD Architecture, NBS, NavisWorks, SketchUp and FormIt software products. Whilst still at university, Ben traveled to Malaysia for a month to study the vernacular architecture and visited world UNESCO heritage sites in Penang and Malacca. In his spare time, Ben enjoys watching live music along with travelling having already visited parts of Malaysia and America. His next ambition is to travel through Route 66 within the next few years! Jo Grier joined Bowman Riley in 2018 as PA/team secretary to the Building Consultancy team. She previously worked at Currie & Brown for four years as a team secretary within the building surveying and project management team and PA to the senior director. Jo has been involved with Rugby Union for many years from Team Manager, Fixtures Secretary, Vice Chair of the Boys section and subsequently Chair of the Girls and Women’s section. She then took up playing rugby union in January 2016, with her position on the pitch as Loose Head Prop. Originally from Sheffield, Jo went to find a new career in London where she qualified as a Blackjack dealer many moons ago. 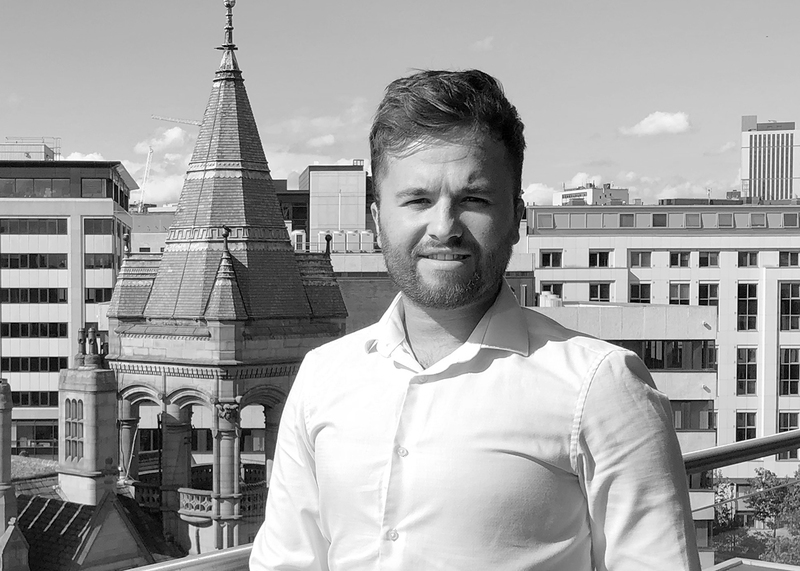 Sam Monk is a graduate from Sheffield Hallam University with a first class degree in Architectural Technology, he joined Bowman Riley’s London team in 2018. During his placement year, Sam assisted on projects in the retail and commercial sectors. Sam has a keen interest in BIM and is fully conversant in the use of Revit. Outside of the office, Sam enjoys the gym, playing football and socialising with friends. With over eight years experience, Anish Mistry currently prepares and produces technical information including feasibility, scoping reports and construction drawings whilst undertaking site surveys and visits on roll-out refurbishment projects in the retail sector. In his leisure time, he enjoys DIY and auto detailing. 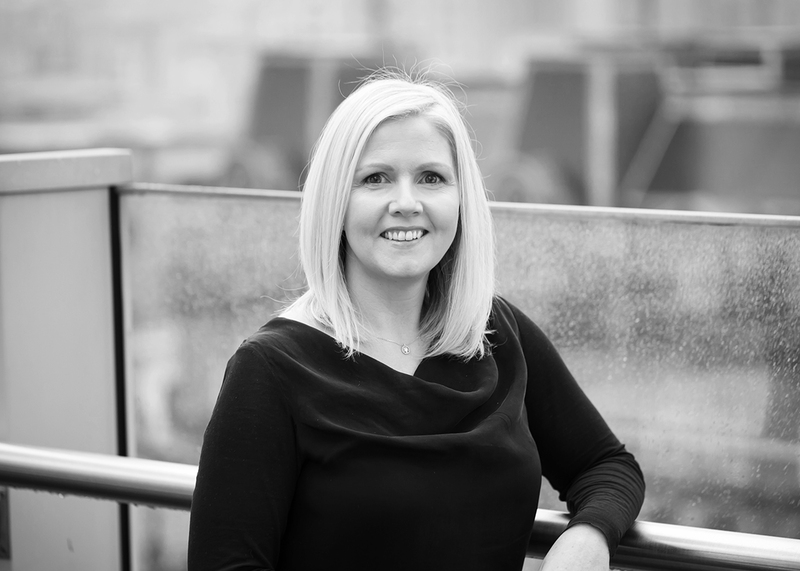 Rachael Davidson maintains an efficient reception for Bowman Riley, managing incoming calls for the three offices, welcoming visitors and providing a wide range of clerical assistance to staff. In her spare time, Rachael is a keen horse rider, swimmer and shopper. She enjoys fine wine, a good book and being at home with her three little girls, husband and cat. As the Finance Director of Bowman Riley, Martin Gaskin has the unenviable task of making sure that all of the business’s creativity, passion and know-how is harnessed to deliver the right commercial results. Bringing his experience as a Chartered Accountant and MBA, Martin supports the financial control and development of the business. Outside the office, his interests include working with third sector organisations in the development of their plans and studies around social issues. In his spare time, Martin enjoys running and cycling, walking his dog and reading novels. Gemma Clarke joined Bowman Riley in 2018 to pursue a career in finance. Working alongside our Financial Controller, she provides essential accounting support to the practice. Gemma will shortly be enrolling in the AAT course to gain a qualification in accounting. Outside of work, Gemma enjoys spending time with her little boy, dining out and socialising with friends. IT expert, Brandon Strike ensures the Bowman Riley team have the hardware and software they need to deliver efficient services to our clients along with professional efficient technical support. In his spare time, he likes to go on road trips, works on his car and secretly plays bingo. Natalie Stott is one of our team of three receptionists busy looking after both clients and colleagues. She enjoys travelling, baking and is always on the lookout for new and exciting ways to entertain her young son. 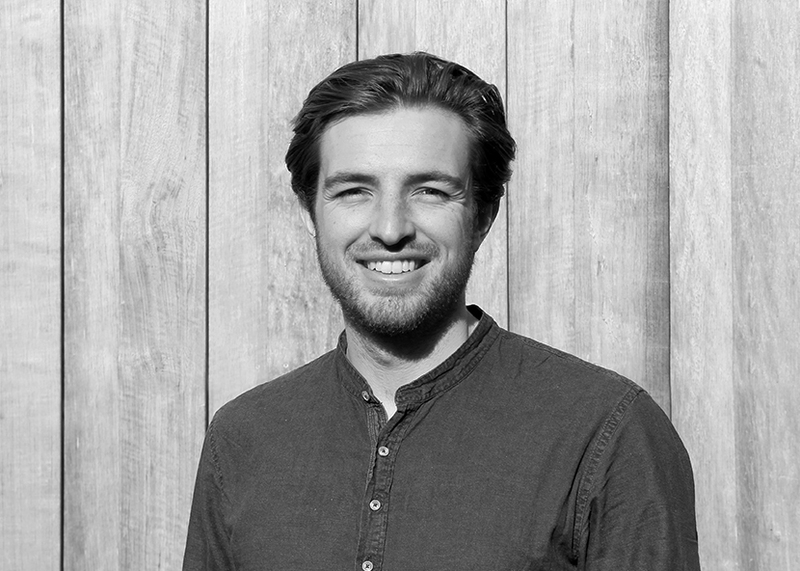 Will Gains began working for Bowman Riley Architects in 2013 and is currently in his third year of his Architecture degree at Leeds Beckett University. 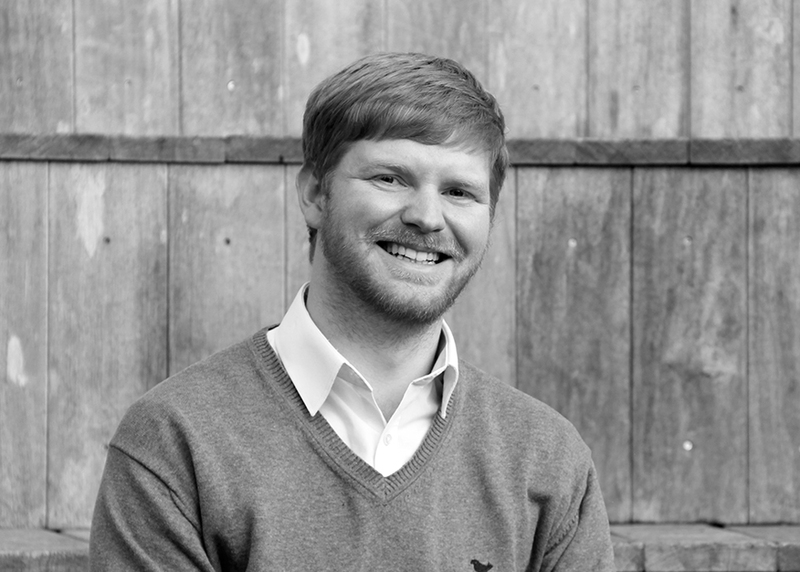 Will has a well-rounded skill set that enables him to apply technical solutions to creative design projects. He works on a range of retail and residential projects whilst continuing his studies at Leeds Beckett University. Immersed in university life, Will brings the latest design trends and new ideas to the practice. He loves to travel and photograph the environments and architecture of the places he has visited. Will’s aim is to have stepped foot on every continent by the time he turns 30! 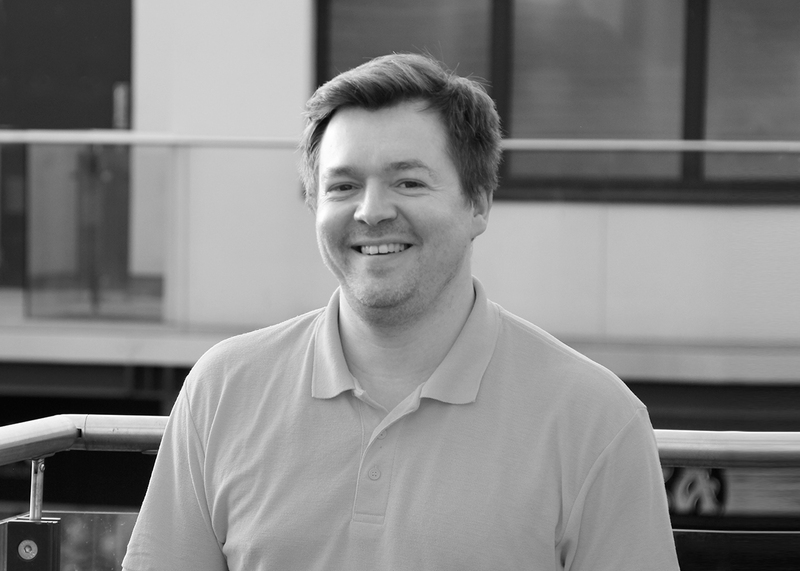 Based in our London office, Daniel Mason applies technical solutions to creative design projects. With the proficient use of the latest software, he presents ideas in a compelling and easy to understand 3d environment. Daniel has an excellent knowledge of the BIM process and uses Revit to deliver projects as part of a collaborative team. His passion for technology makes him adept at articulating how embracing new technology provides business value and benefits. He introduced augmented reality and 3D printing to the practice and implemented their use into our design process. Daniel loves exploring the outdoors, be it through walking, running or cycling. His greatest outdoor challenge to date was completing the National Three Peaks in under 24 hours. 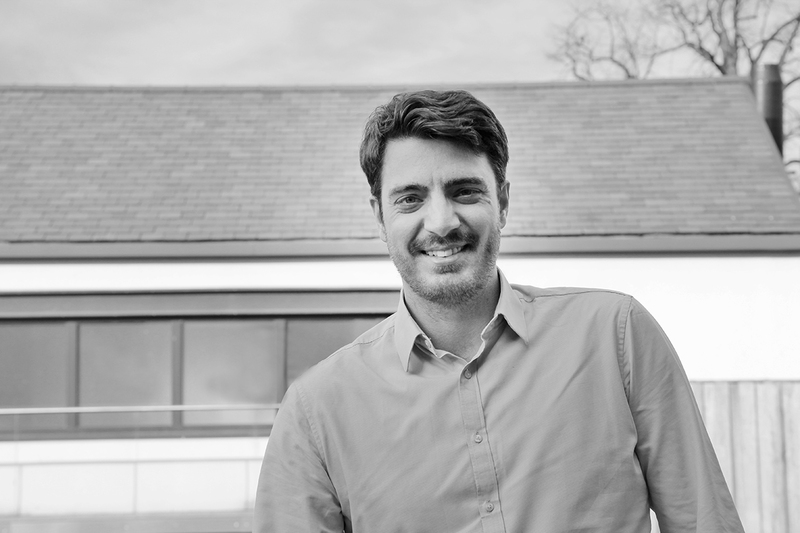 Daniel Postill began working for Bowman Riley in 2016 as an Architectural Assistant part II following graduating with distinction in MA Architecture from the University of Lincoln. He is currently studying towards becoming a fully chartered Architect following sitting his final examinations Summer 2018. He is keen to build upon his eclectic range of experience at this stage in his career. Dan’s ambition is to visit every European country by the time he is 30 years old. Donna Miller joined Bowman Riley in 2017 an Architectural Assistant with 11 years’ experience in construction. 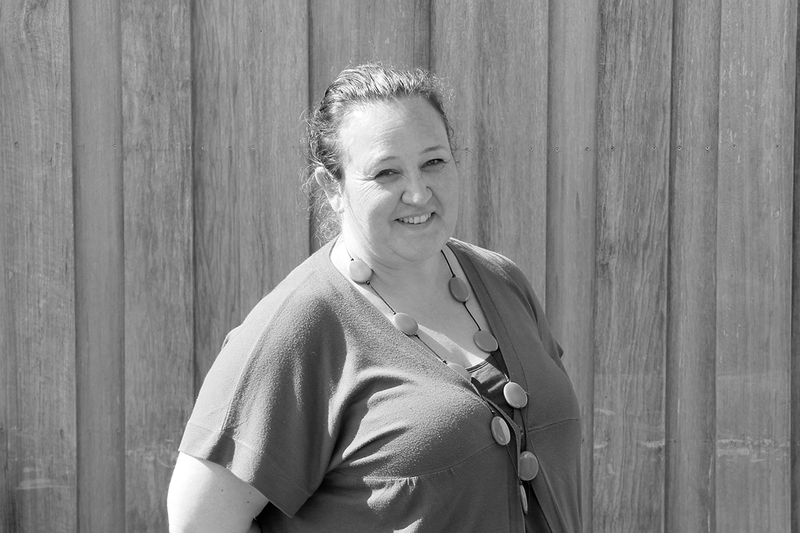 With a BSc in Architecture, Donna also holds the NEBOSH General Certificate in Construction and FdSc in Construction. Donna will be starting her Masters degree in Architecture in September 2017. In her spare time Donna enjoys renovating her new home with her partner, going for walks with her dog and when possible visiting new countries. 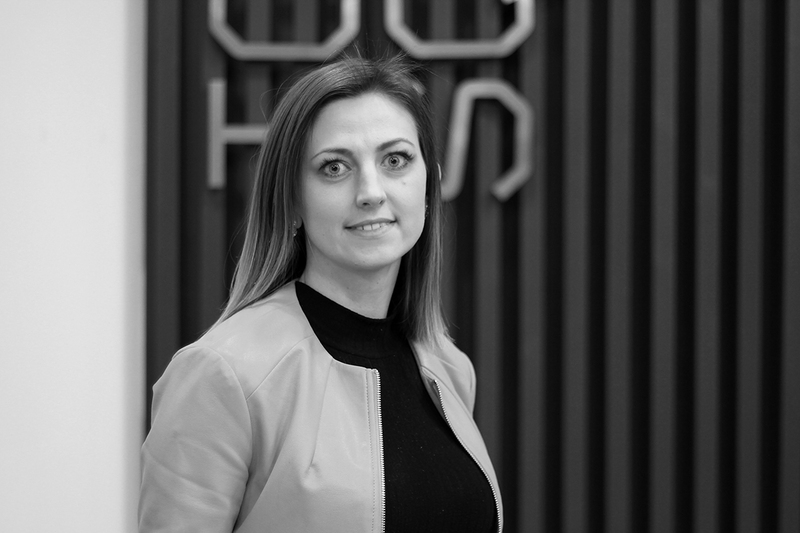 Agnieszka Sidorczuk joined Bowman Riley in 2017 as a Part II Architectural Assistant after working for six years in architecture and interior design practices both in Poland and the UK. She is currently working towards achieving her RIBA Part III qualifications to become an Architect. She graduated in 2011 from Technical University in Bialystok, Poland and also studied in Universidade Technica de Lisboa in Lisbon, Portugal for one year. Agnieszka took part in various architectural events including being a tutor at MEDS in Ljubljana in 2011, co-organising a light festival (LUMO BJALISTOKO) in her hometown, Bialystok or taking part in various workshops for architecture students. She is a huge fan of minimalism and tries to implement in her designs. Outside of work, Agnieszka enjoys good gym sessions. She is also a recent owner of race version of Subaru, which she would like to learn how to drift. 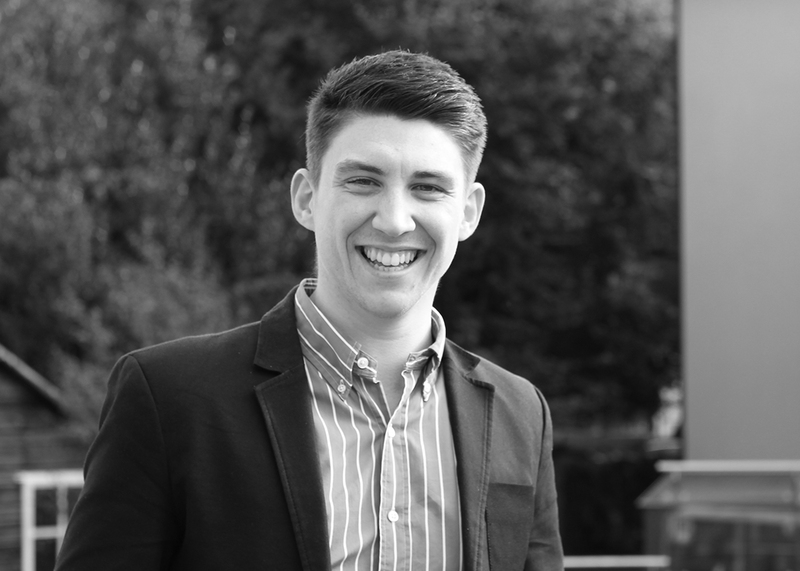 George Marshall is a trainee Architectural Technologist, who joined Bowman Riley in 2017 after completing his A-levels at Giggleswick School. George is currently studying a degree in Architectural Technology at Leeds Beckett University on a part-time basis whilst developing his skills and experience at Bowman Riley. In his spare time, George plays rugby for Keighley Rugby Club. 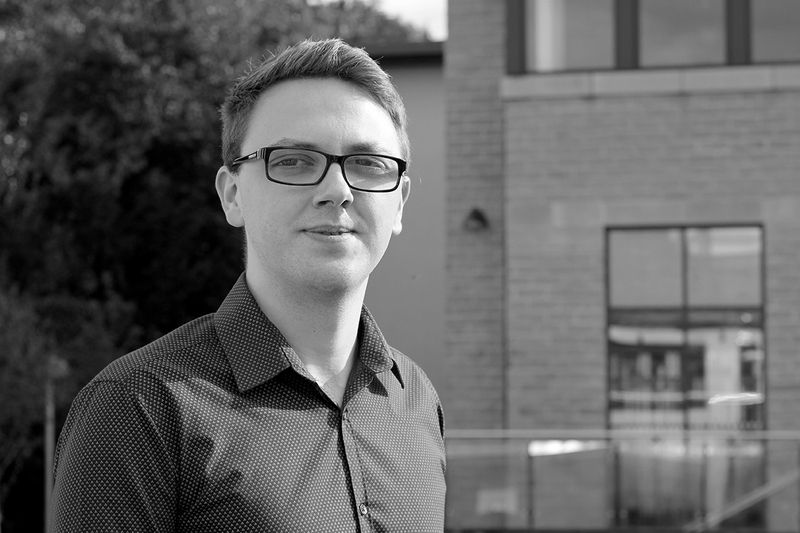 Reece Smith joined our Leeds team as an architectural assistant following completion of his degree at the Leeds School of Architecture. Building up his life experience, he spent three months backpacking around Asia in his last summer before graduating. In his spare time, Reece enjoys skiing and is a keen fan of Burnley Football Club.